Solent Family Mediation mediators are experienced, qualified, professionally trained experts with experience in family laws. We work to standard professional ethics and strictly within the code of conduct.Unfortunately, relationships do break down. However, if you are in a civil partnership, married, or even cohabiting with your partner and are now considering a separation or divorce, family mediation can assist you in coming to an arrangement about a joint property, finance issues, and children. Solent Family Mediation will ensure that they take you through all the steps necessary to assist you in reaching a united decision. Solent Family Mediation offer help in helping you resolves issues with family, property, finance, pensions and dealing with children to the highest professional standards. Trained, experienced and sensitive towards matters involving family breakdowns. Family Mediators work to a strict code of practice and are completely impartial. Mediation provides a fast, proven and cost effective way of resolving family disputes without the need to go to court. Mediation is completely voluntary and you decide the date, time and venue for the process to take place. 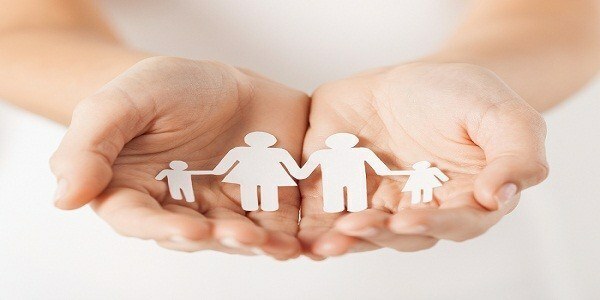 Family mediation is seen as the best solution for a wide range of our clients. If you are planning a divorce, or a dissolution of a civil partnership, then family mediation is often the best option for you to choose. For couples who have children, or other dependents, then family mediation allows you to plan how to arrange childcare and other family matters in a non-controversial way. Even if you do not have children, mediation is a good solution as it means you can decide how to allocate your financial resources and to make plans for the future. However long you have been married, mediation can benefit you. Family mediation avoids the need for expensive legal fees. The mediation process is non-confrontational and leads to an agreed solution. Mediation is recognised by the government as a necessary part of the process of divorce, or dissolution. Mediation is increasingly seen to benefit children and other dependents.